Figure 8 straps provide added ankle support with compression and added stability and proprioception. 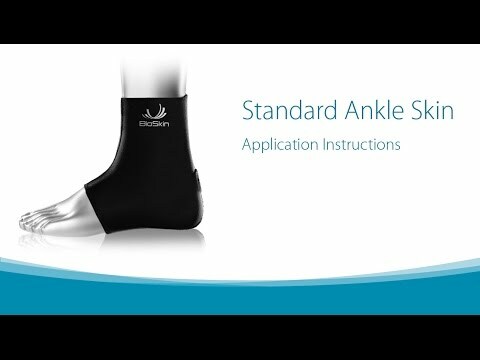 Constructed from our breathable, neoprene free, latex free, hypoallergenic material, the standard ankle skin will provide compression to control swelling while offering support. Can be worn inside a shoe. Universal Left/Right.